Mazecheese has started a Pinterest page. We made a maze on Mazecheese.com to commemorate the event. Please enjoy it while we figure out how to use Pinterest. Any ideas will be greatly appreciated. 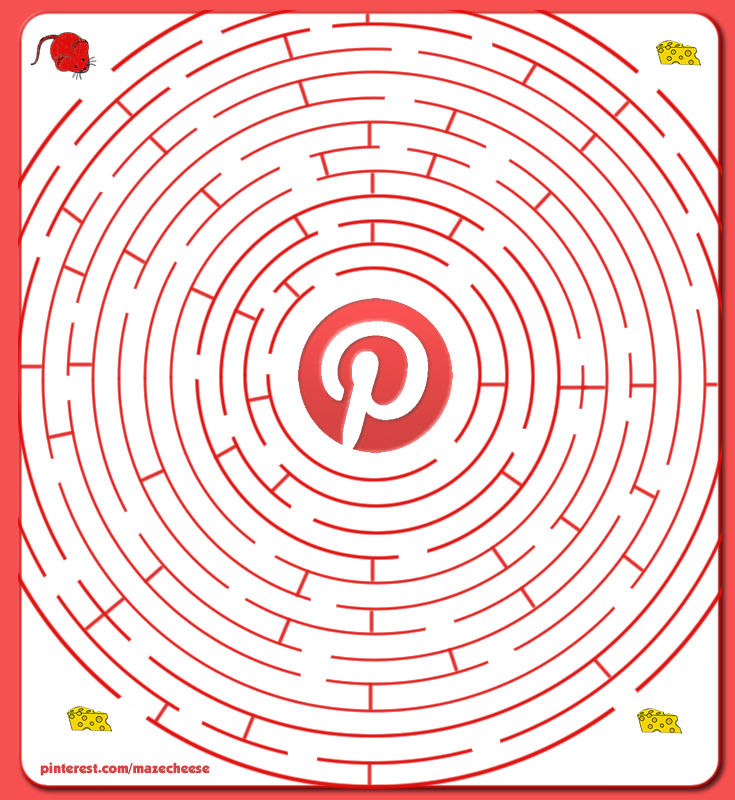 The Pinterest Maze (Maze 8) is a circular maze where you help a red KO mouse get to the three cheese slices. 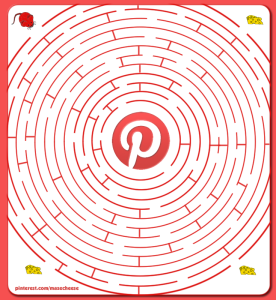 On the website it is a finger/mouse/stylus maze where you can drag your path along the screen. As far as Pinning goes, it will get figured out. Link to our page here: Pinterest/Mazecheese. If you have anything really maze-ish, pin, heart, follow us.